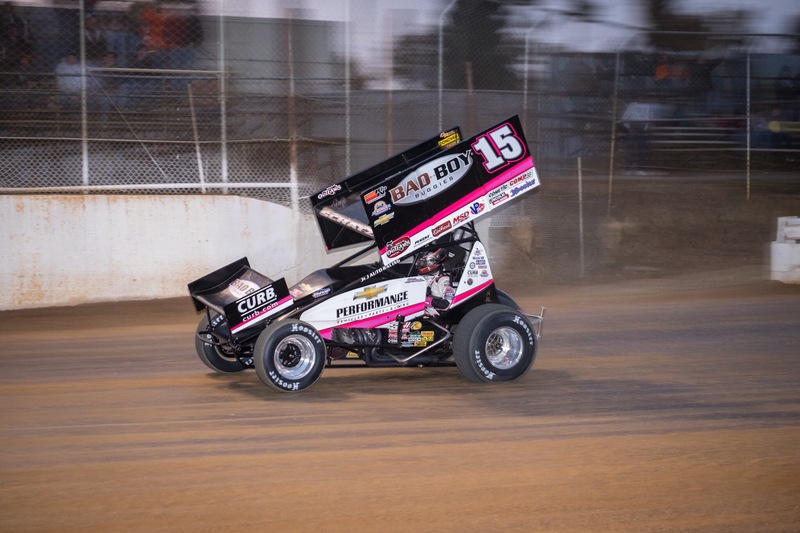 Brad Sweet won his first race in Pennsylvania, against a stout field of WOO cars, as well as the always strong PA Posse. 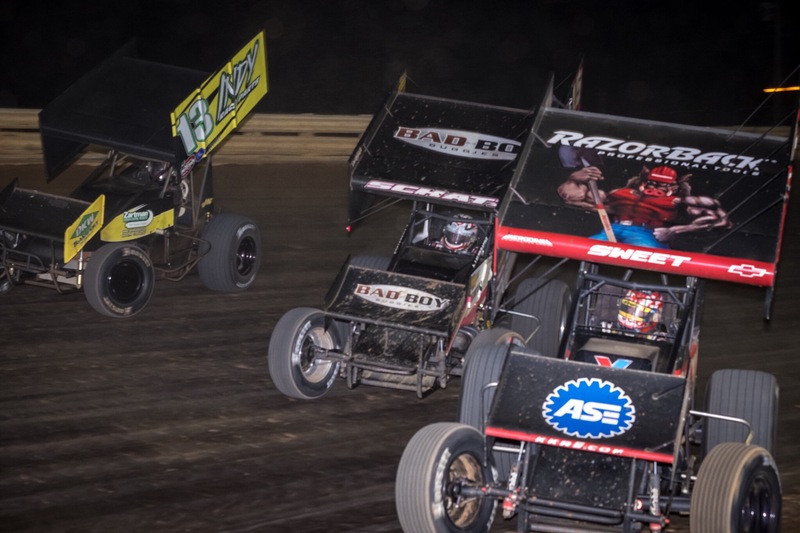 Port Royal hosted the World of Outlaws for their final 2015 appearance in the Keystone state. 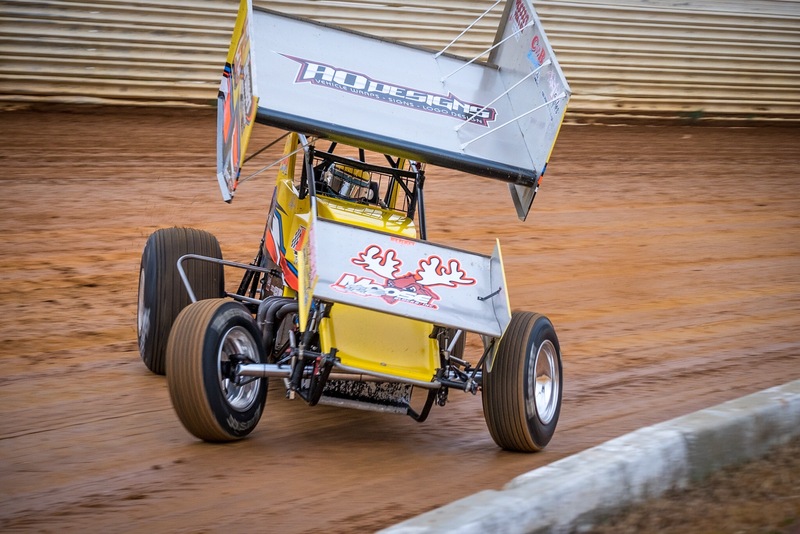 After the National Open at Williams Grove a few weeks back, the traveling series made a stop at Rolling Wheels Raceway Park during Super Dirt Week. They then traveled west to Lawenceburg Indiana for a night, before coming back east for a couple of stops. 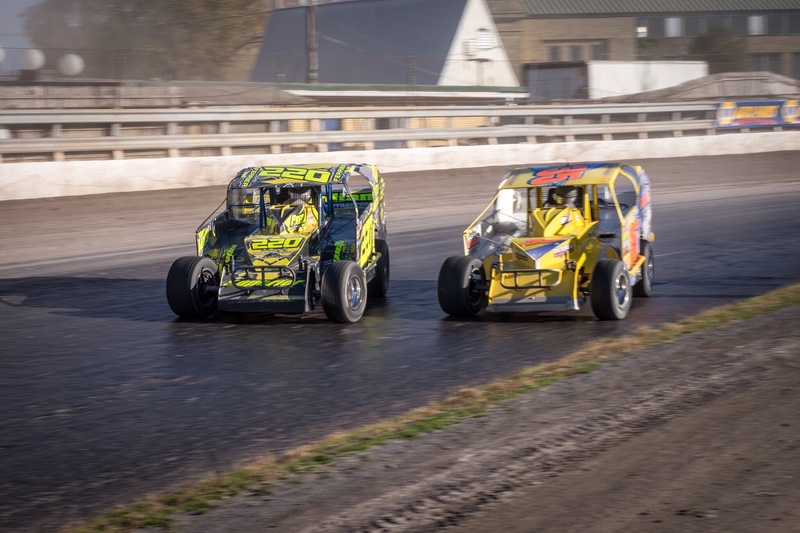 Their first stop was at”The Speed Palace”, on Saturday and then up to the newly revamped Weedsport Speedway on Sunday night. Donny Shatz locked up his Seventh Woo championship a few weeks back, but is still trying to add to his impressive 31 feature wins this season. PA is a tough place to win because of the strong field of “Posse” at every track. 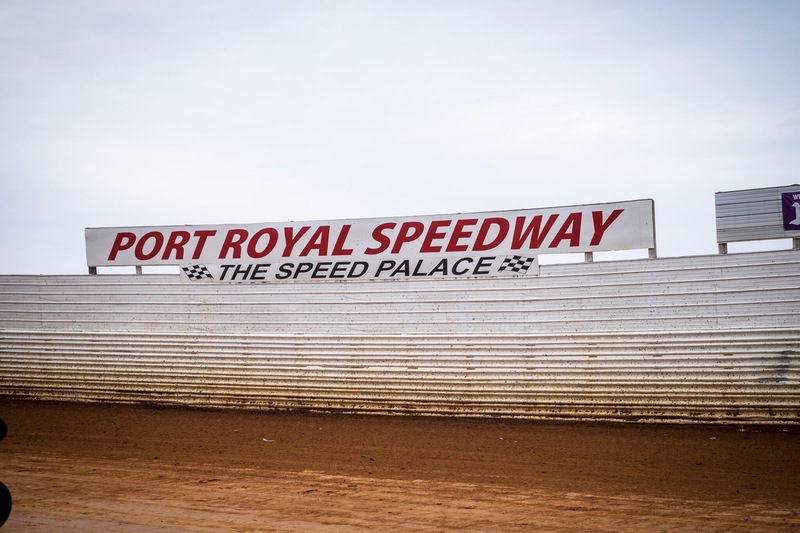 Myself and a couple of friends made the trip south Saturday morning to Port Royal for much needed 410 Sprint Car Action. Earlier in the week a freind of mine Frankie Cottrell, invited me to ride with him to Port Royal. 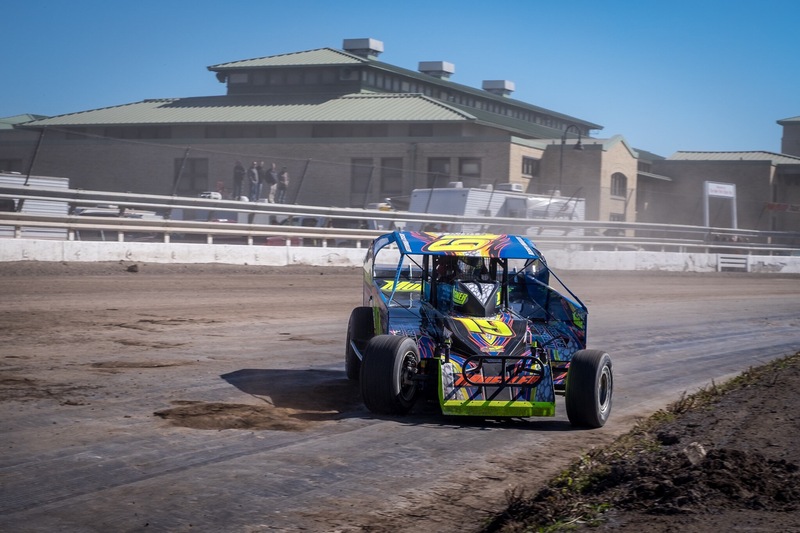 I was debating on going to Weedsport for their big weekend of racing, or heading down to the 54th running of the “Eastern States” at Orange County Speedway. By Thursday I knew I wanted to go to Port Royal. I let Frankie know that I was going with him on Saturday. Friday I ran into long time freind Bill Bradshaw. I asked Bill if he would like to go with us in the morning? Bill being a former ESS Driver, doesn’t turn down too many sprint car shows. It was set 11:00am, and the three of us headed out. We met up with one Of Frankie’s co workers at A-Verdi Storage, in Savannah, NY. The four of us had huge smiles on our faces all night. We all agreed that we are blessed with a lot of race tracks in NY, but still travel 3.5 hours to go see a sprint car race. It is true if you have never been to PA for a 410 Sprunt Car race you do not know what you are missing. During the day on Saturday the weather man was calling for rain showers around 9:00pm. Port Royal did a great job moving the show along for the fans. I am sure it was a little crazy for some of the teams, but the fans showed up to see a show, and that is what they got. 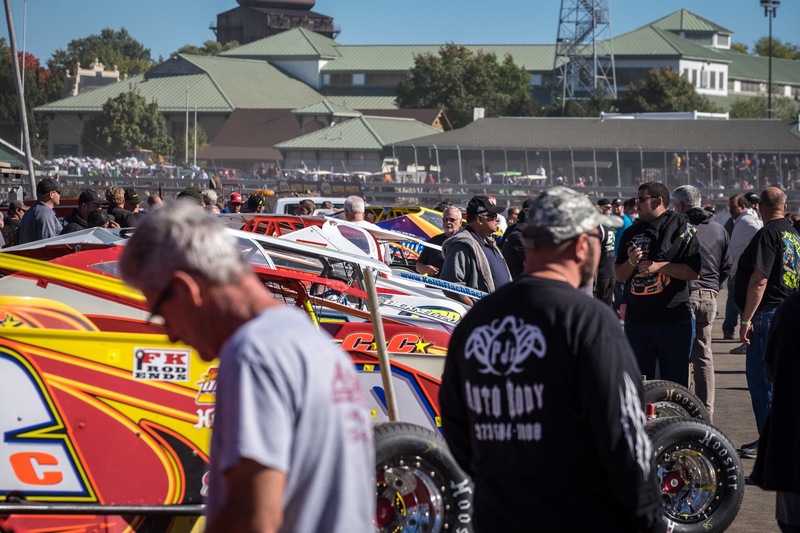 With over 40 sprint cars in the pit area, and a full field of Mid- Atlantic Modifieds, we knew it was going to be a great night of racing. The track was perfect for time trials. Donny Schatz set fast time with a blistering lap on the 1/2 mile clay oval. 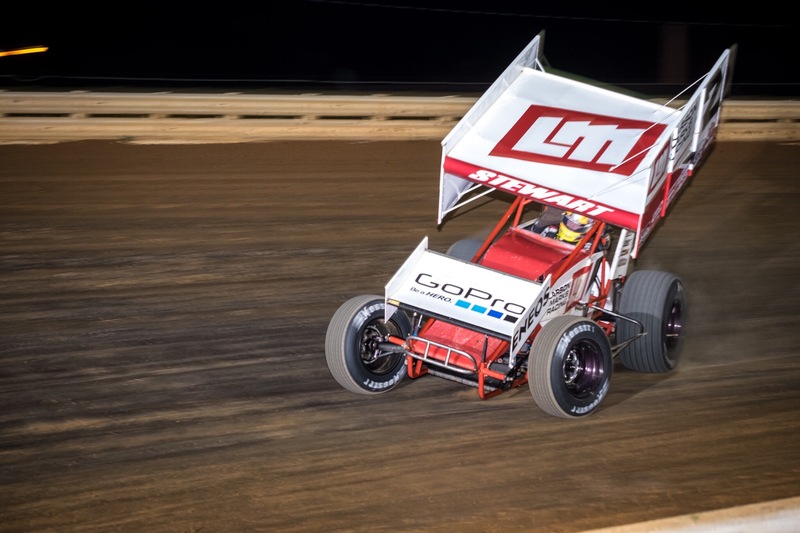 Schatz beat out Daryn Pittmans 16.327 lap with a quick time of 16.199, averaging around 110 mph. 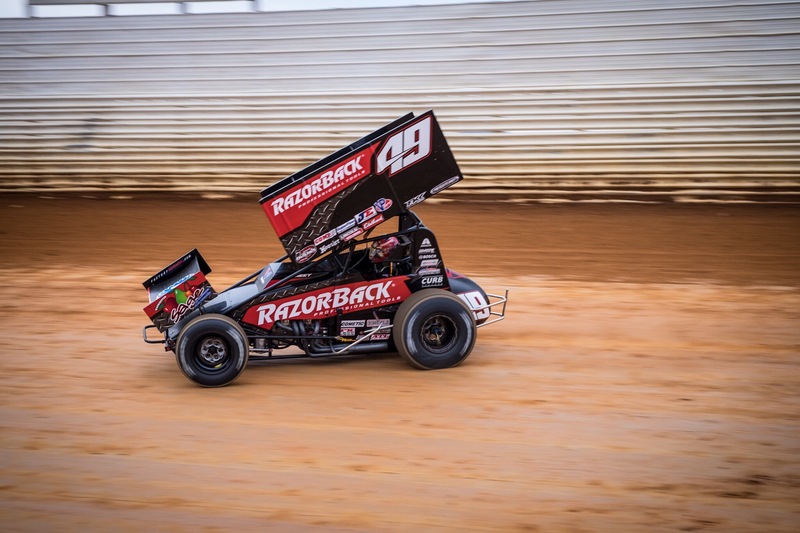 Shane Sterwert, Brad Sweet, Lucas Wolfe, and Logann Schuchart won their respective heat races putting them into the nights A main. Lucas Wolfe showed his competitors in the dash that he was going to be a threat in the main. Shane Stewert, Dietrich, Sweet, and Greg Hodnett rounded out the top five. 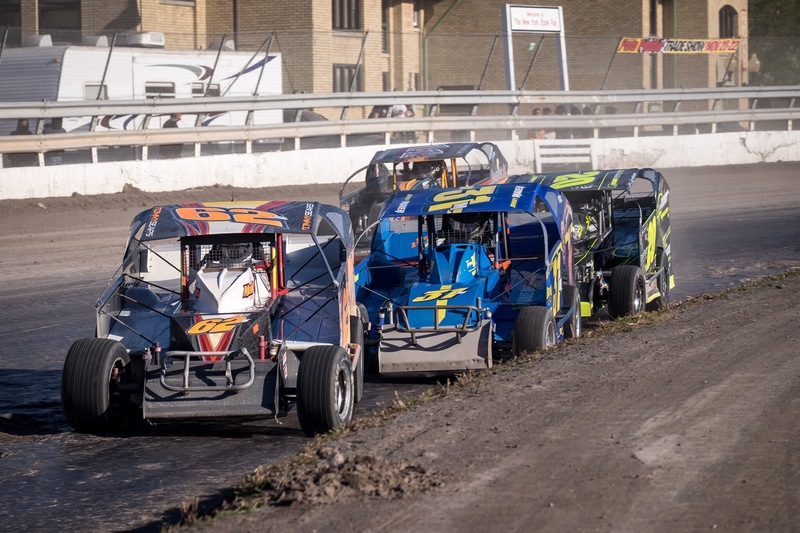 In between sprint car races the Modifiedds ran their heat races, setting up their main event that would be run later in the night. 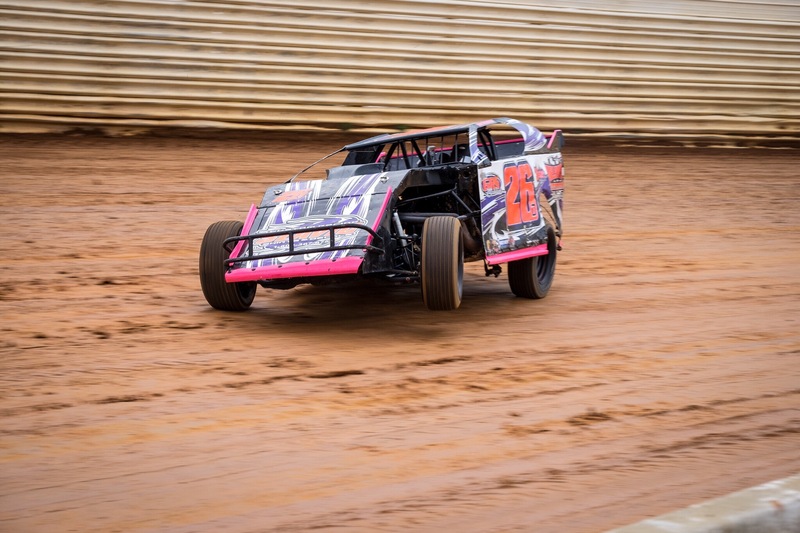 NASCAR driver David Stremme was on hand racing one of his own chassis for their first appearance at Port Royal Speedway. A few sprinkles started to fall on us before the mains made it to the track. Soon after we heard the pit Steward calling for the A-main cars to get onto the track for their race. 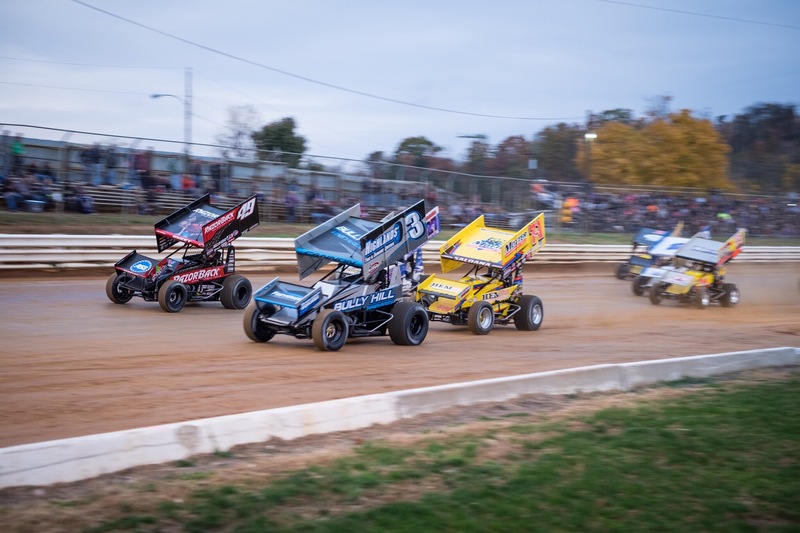 We moved from turn one to turn three for the start of the sprint car feature.Most tracks in PA allow their fans to go into the infield for the same price to watch nights event. This is AWESOME, I wish the NY tracks would do the same. It was show time. Wolfe and Stewert brought the field to the green with a lot of fast cars behind them. After only one lap the caution flag flew for a car that spun out. 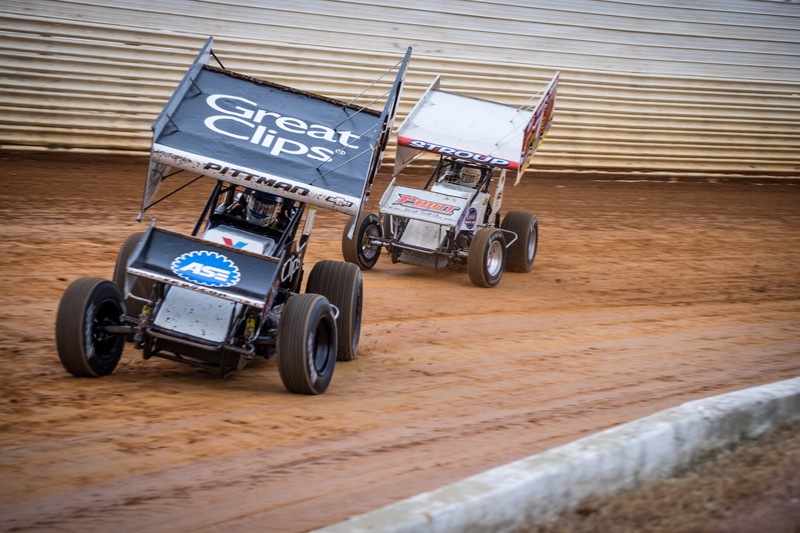 On the restart Wolfe lead Stewart into turn one with Brent Marks all the way up to third. Marks passed about five cars at the start of the race. Sweet, and Pittman made their way around Marks real fast, setting their sites on the leaders. Only after ten laps Wolfe found himself fighting his way through traffic. Brad Sweet worked the traffic to his advantage moving him self past the #2 Stewart for the second spot. Wolfe, Sweet, Pittman worked hard to get past some of the back markers. Just about 1/2 way through the 30 lap main, Sweet put a move on Wolfe in traffic to take over the top spot in turn one. 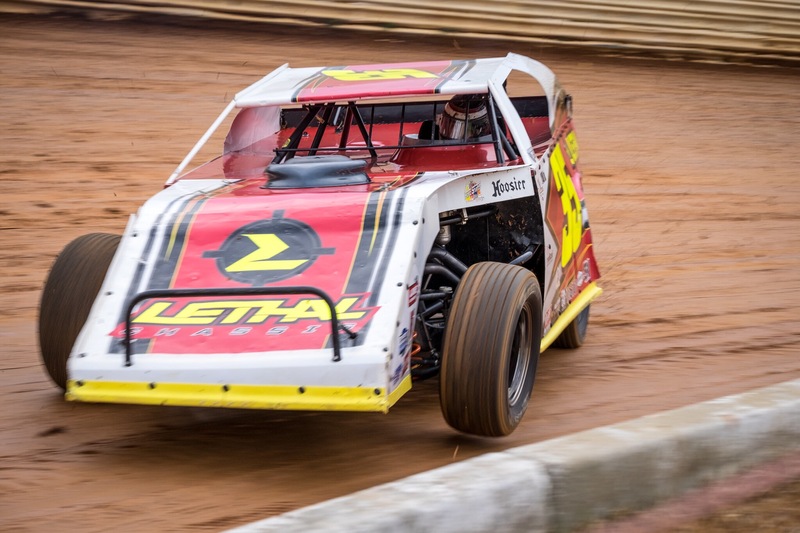 Lucas could not stop either Sweet or Pittman from going by his Famous Zemco Racing #1, moving him back to the 3rd spot. 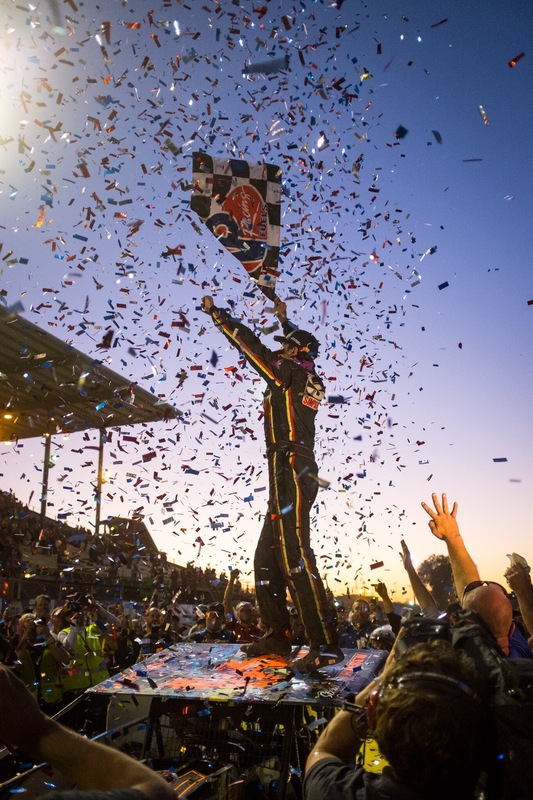 All eyes were on the top three, but you know fans scanned the field to see where the WOO champion was. 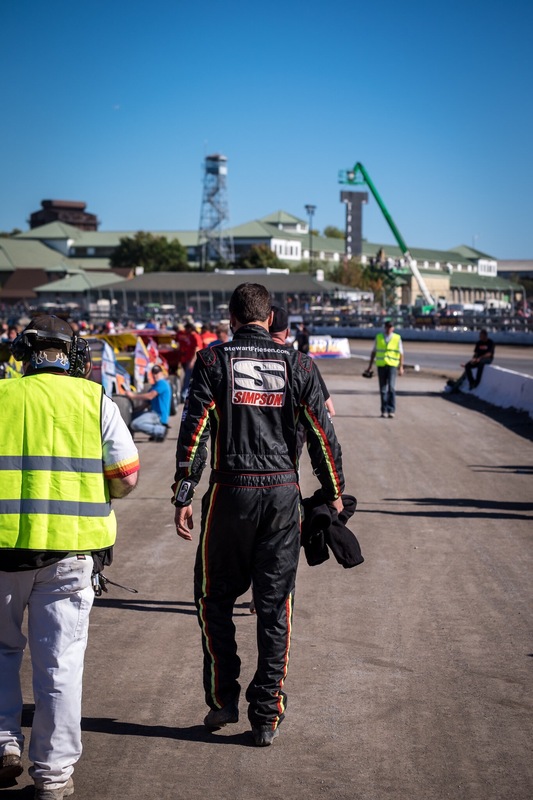 Schatz was up to the fourth spot looking to get to the front. By now Pittman was on Sweets rear bumper. With ten to go, the fans erupted when Pittman took advantage of a mistake by Sweet to take the lead. 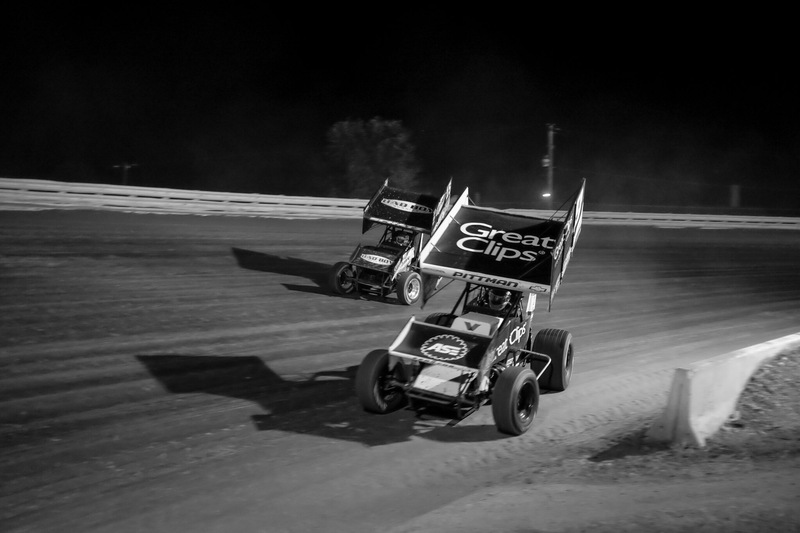 Pittman looked to pull his Kasey Kahn owned Great clips car out on Sweet and Schatz. Schatz was on the move with less then eight laps to go. A late race caution flew bunching the field back up with only a few laps left. 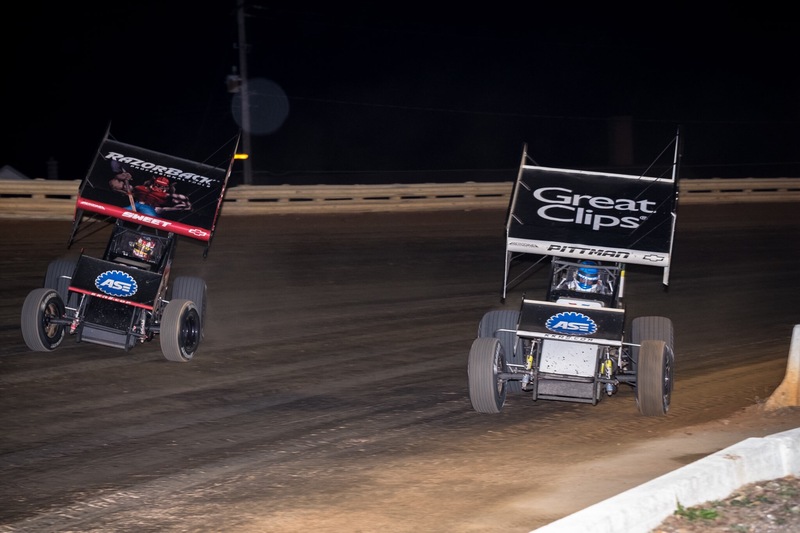 Daryn Pittman chose the bottom for the restart, putting Sweet on the high side, with Schatz and Dietrich close behind. The field fired coming out of four, making most of the fans rise to their feet. Pittman held off Sweet through turns one and two. Schatz was looking to make a move for second. Brad Sweet made a bold move to the outside of Pittman going into turn three. The move worked as Sweet grabbed the lead again for the final laps to win his first race in Pennsylvania. Pittman said in his post race interview that he was disappointed with his second place finish. Daryn stated that he thought he had the edge on Brad when Sweet moved to the high side. He said he didn’t think Sweet could make it stick up there, but he did. Port Royal ran this entire event in less than 3hrs. That is AWSOME. 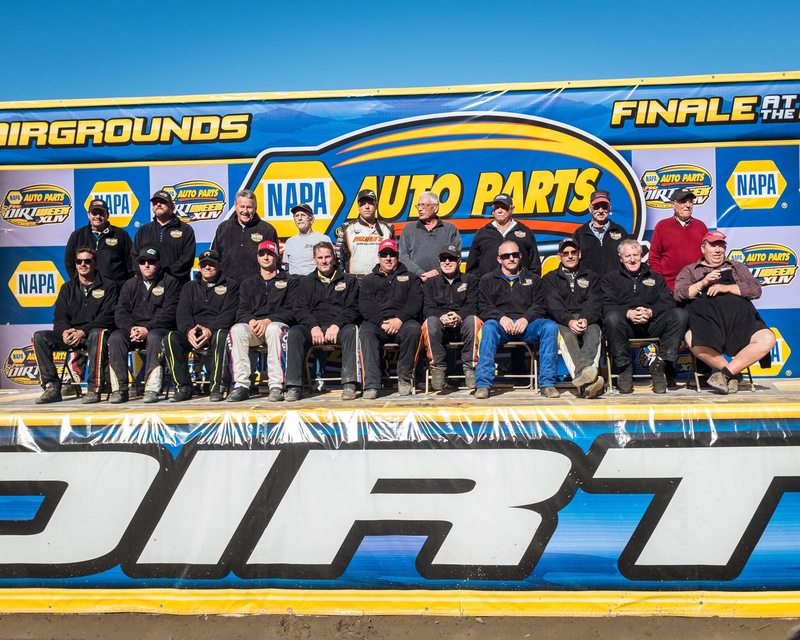 I would like to thank the promoters and all of their staff for making our trip to PA worth the drive. 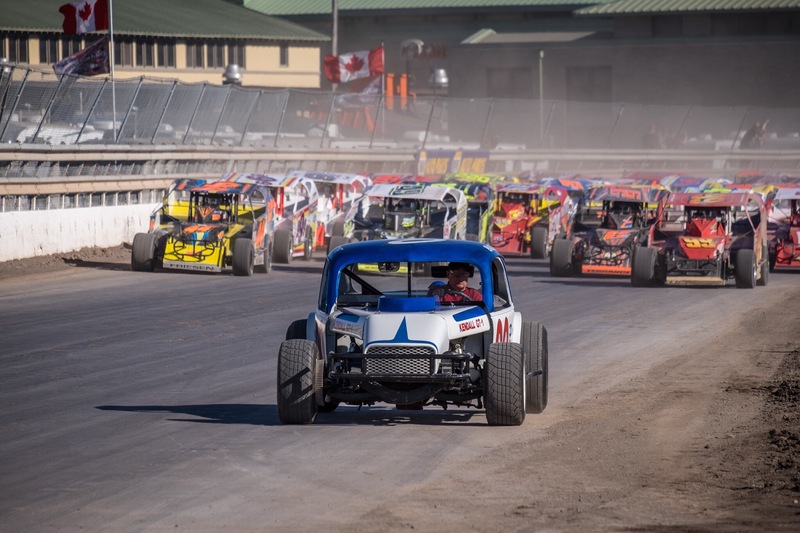 Super Dirt Week 2015 started on Wednesday for my son Vanze and I. It was 6:00am Sunday morning, the last day of SDW 2015. We headed up early to beat the rush of people that were headed to Syracuse for the last ever race on the mile. On our way up we talked about the week so far, and how we wanted to cover Sunday’s events for APEX Automotive Magazine. Both of us wanted to capture as much of festivities as we could. Early on we shot some of the final practice for the big blocks. I have always loved this part of Sunday at SDW. Seeing all the cars cleaned up and ready for the 200 later in the day. 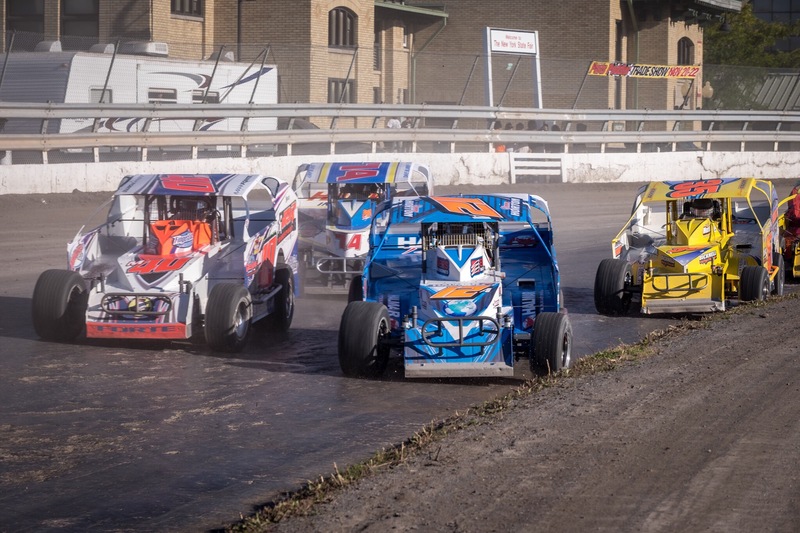 Next up was the Sportsman race and Prostock feature. These races are always good to watch. The prostock race went down to the last lap, with the win going to Rob Yetman. This win made it a three peat for Rob and his crew. 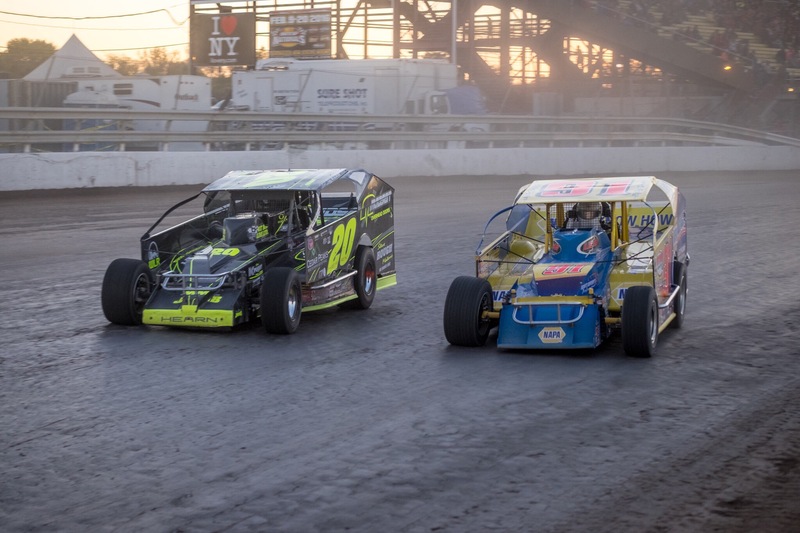 While these races where going on, the big block cars lined up on pit road for the start of the Syracuse 200. Crew members make last miniunte adjustments, and worked on their check list before they fired the engines. 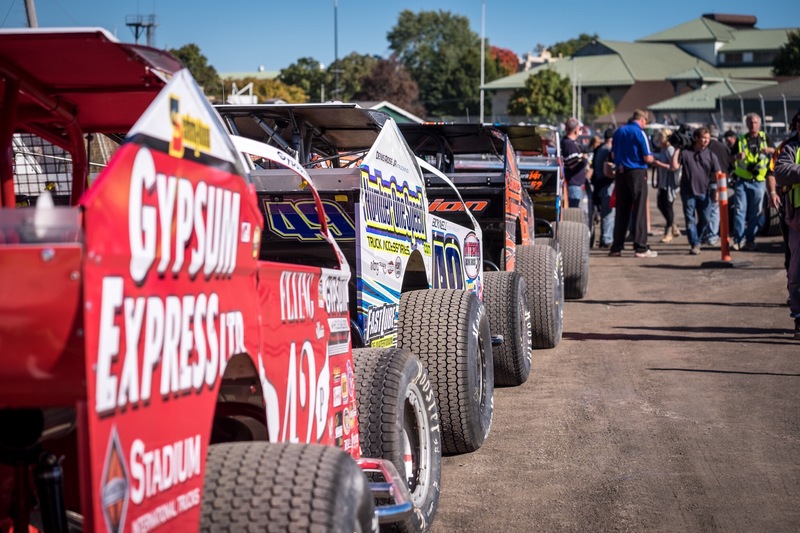 Just before driver introductions Dirtcar had most of the past champions on stage for a final get together before NY State shuts down the track forever. We went down onto the track to get some pictures of my childhood heroes all together on stage. This gave me chills, I told my sun soak it up kid this is history being made right in front of us. Itwas really cool spending the week with my oldest son, at this event that my father took me to for the first time in 1973. After the driver introductions we headed out onto the cinder track to get our spot for the start of the race. Vanze headed down into turn three, and I set up camp on the backstretch for the epic four wide shot for one last time. During the playing of the national anthem it started to sink in that this was it. I grew up at this place, met some life long friends and witnessed some of the best guys to ever wheel a race car around the Moody Mile. I was talking to a fellow photographer from Indiana before the start of the race, and he was saying it felt like a funeral around the fair grounds. At that moment I realize that this is a funeral for thousands of people. 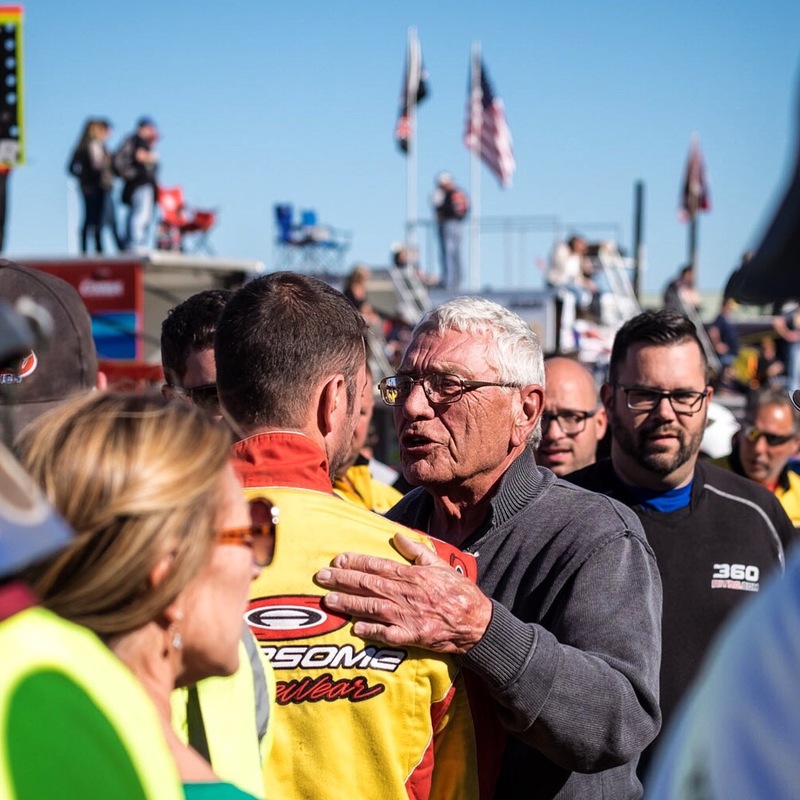 Once a year we all got together to enjoy each other’s company as well as four days of racing. One of my friends said once a track is gone they never come back, sad but true😩. After all of the pre race hype was over the drivers strapped into their cars to go to work for 200 miles. This tace pays $50.000 and the winner will go down in history as not only a winner of SDW, but the last winner of a historic event. 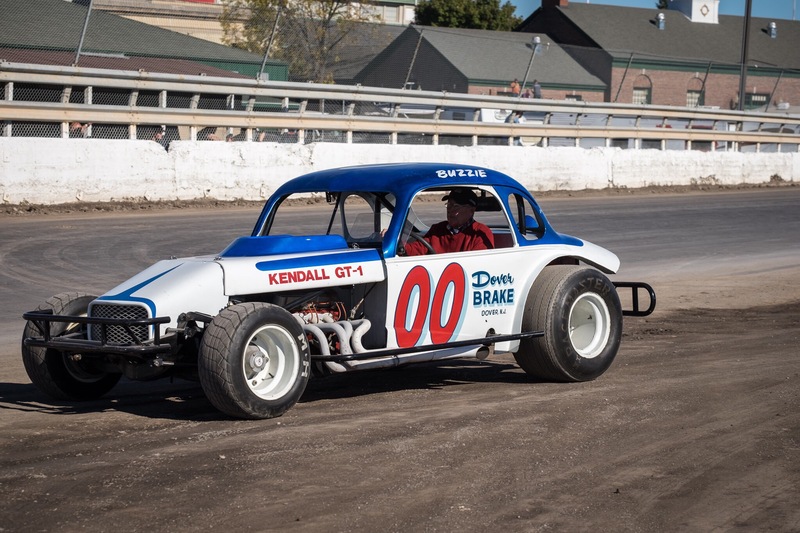 Two time winner Buzzie Reutiman paced the field around for the Mile for the fans to enjoy. 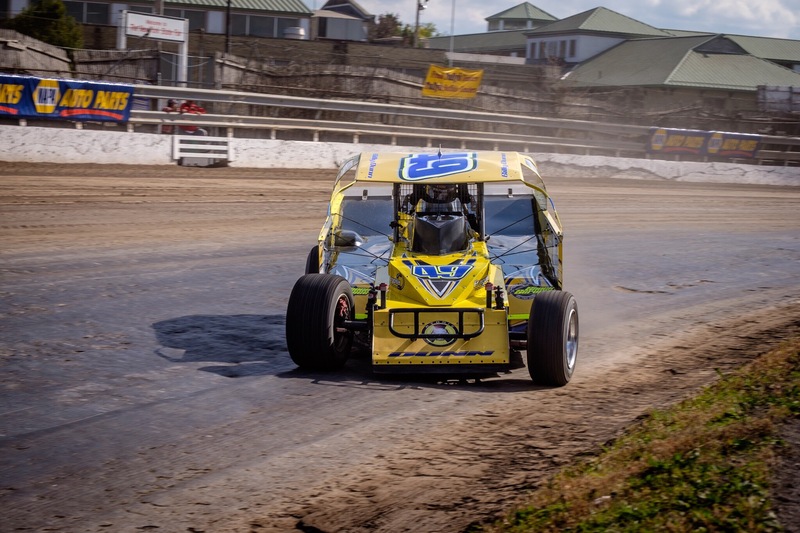 Track announcers said over the PA system, ” I hope we can get Buzzie off the track when the green flag drops” ha ha that’s funny, because Buzzie still races in Florida during the summer months. 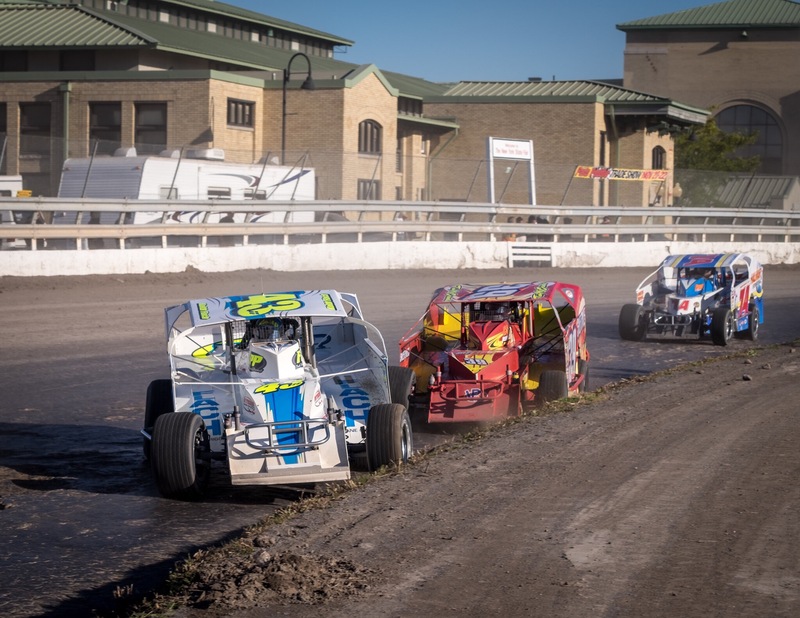 Now the stage was set for the 44th running of the Syracuse 200. After the four a breast lap the drivers moved back to their spots for the start of the main event. This is a endurance race, so trying to win it on the first lap is foolish. Most everybody drove down into turn one looking to gain a spot or two, before settling in for the long haul. In past years fuel milage has played a big part in the outcome of this race. 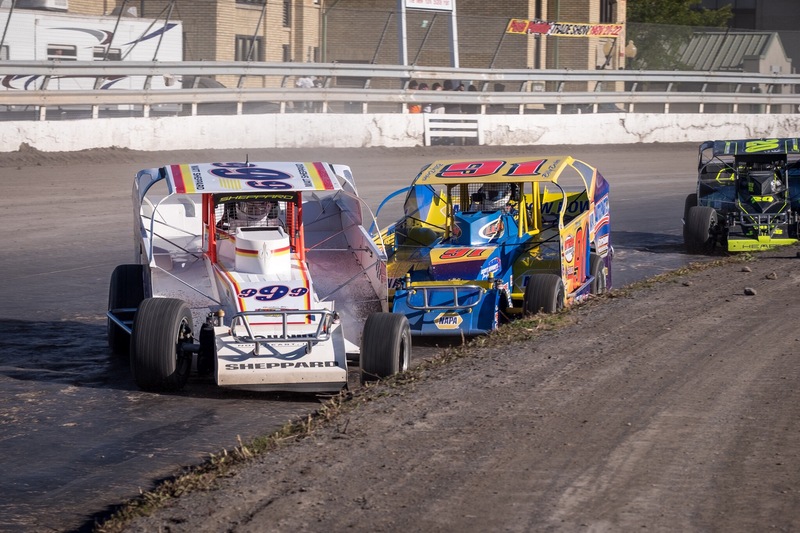 Pole sitter Larry Wight lead the field for the first part of the race until past winner Billy Dunn drive under Wight in turn one for the first lead change of the race. A few laps later Larry had the rearend in his car fail, forcing him to park his #99 for the day. but this bunched up the field for some close racing for the fans. Dunn, Hearn, Sheppard, and Ward where some of the heavy hitters running toward the front of the 44 car field. Pits stops shuffled the field around, giving some of the mid pack guys a chance to lead the race. After the 1/2 way mark it looked like Sheppard, Hearn, Dunn would be the ones to battle it out at the end. Stewert Freisen and Billy Decker, never really looked like they had the car to contend for the win. Sheppard had some troubles wile leading, taking his chances of winning another one away. 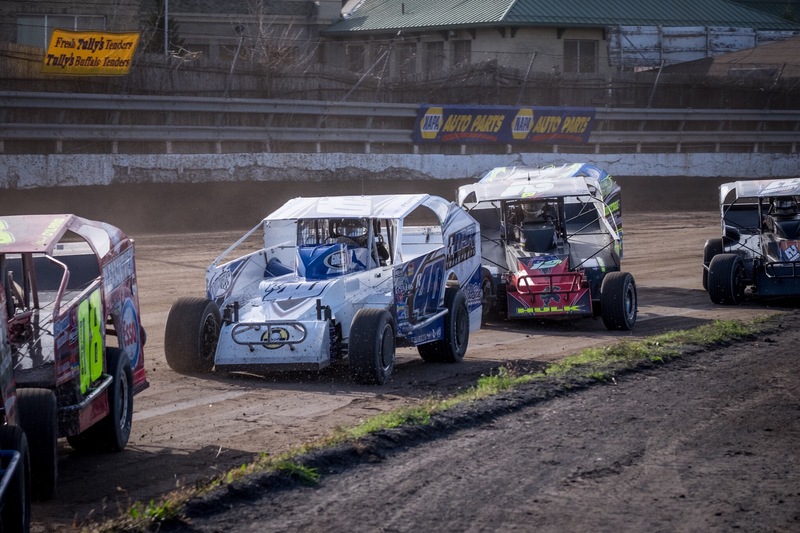 Saturday’s 358 winners Jimmy Phelps and Past winner Tim Fuller lead the field for a while late in the race. A few more cautions flew, as the Sun was going down behind the grandstands. This gave Freisen and Tremont a chance to get around cars on restarts. 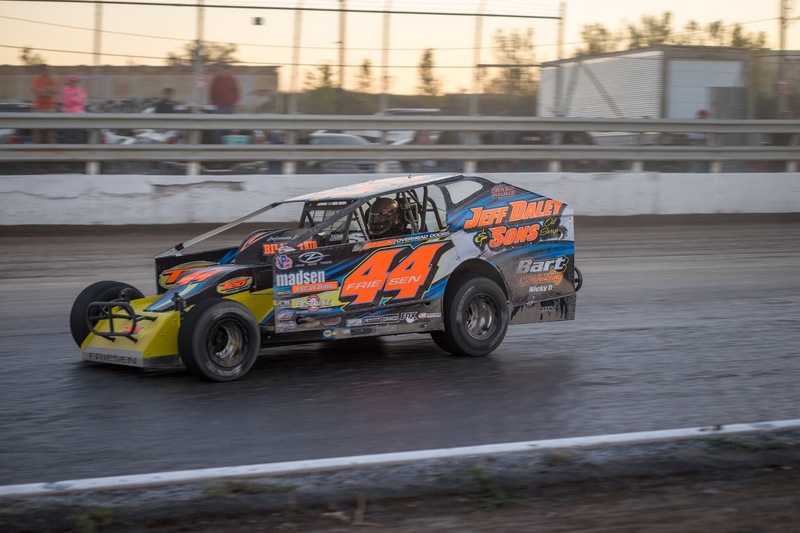 The next thing we knew #44 Freisen was out front with Kenny Tremont close behind. Tremont tried to make a run on Freisen, but just couldn’t get close enough to make a move for the win. Freisen drove smart all day, his crew did a great job in the pits to help him win his 4th SDW race in 6 years. 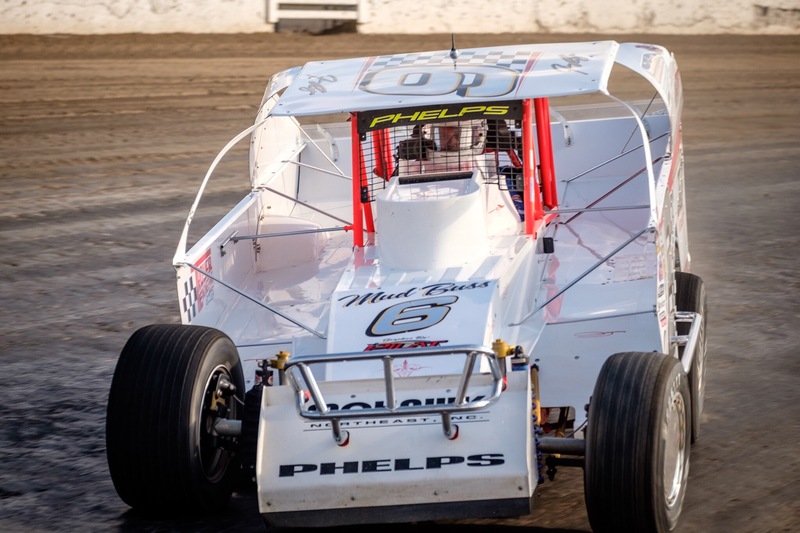 Tremont, Phelps, Hearn, and Decker rounded out the top five. The racing was typical Syracuse racing, but the entire event was Bitter sweet to say the least. We worked our butts off covering this event for APEX magazine, and will have a ton of images for future generations to enjoy later on in life. I guess we will have to wait and see what next year brings in October. Where ever this race is held in the upcoming years, it will never ever be the same. We will always have our memories of SDW and pictures enjoy for many years to come. I will see you at the track! 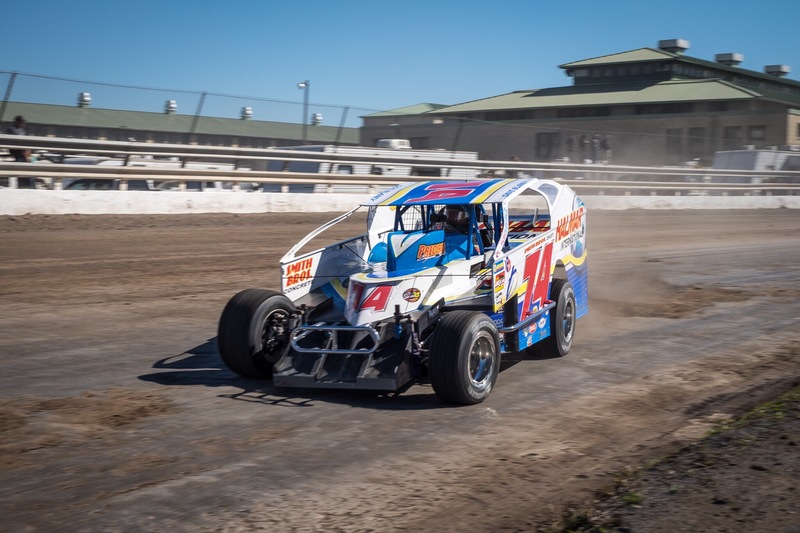 After a full day of racing on the Moody Mile, Jimmy Phelps drove his Retro looking Troyer “Mud Buss” into victory lane for the Salute The Troops 150. Pole sitter Billy Dunn lead the field to green flag with Brett Hearn on the outside him for the start of the Salute The Troops 150. Tremont, and Decker followed close behind. Dunn paced the field in his No. Speed shop 358 for most of the first half of the 152 lap feature. Hearn didn’t let Dunn get to far ahead of him for most of the race. After the leaders made their pit stops Jimmy phelps was ahead Dunn, Hearn, Tremont. 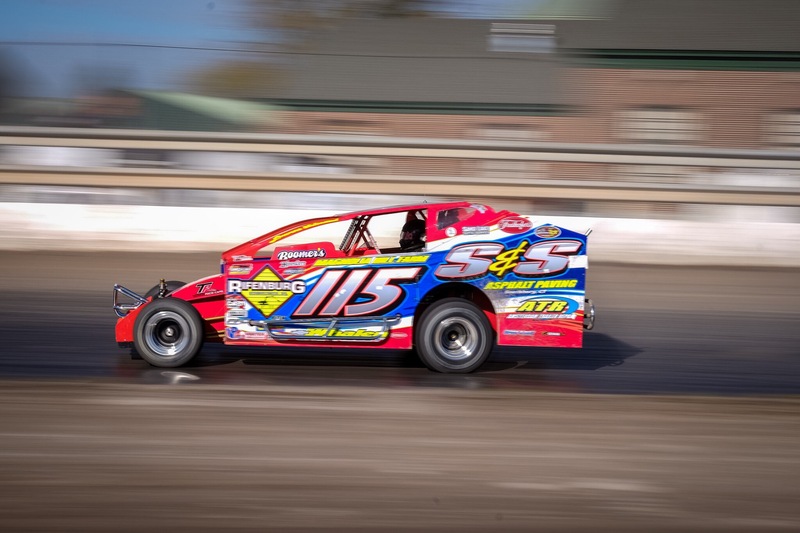 Tim Mccreadie used his pit stop to put him up front for the second half of the race. McCreadie started in the rear after blowing a tire in his qualifier. Hearn worked his way back to the third spot after working through tough traffic. Phelps was out front trying to conserve fuel and tires. In between turns one and two, a huge hole devolped in the groove. Drivers had to run through it because it was loose above the crater. If they ventured outside the groove the guy behind them might sneak by on the bottom. 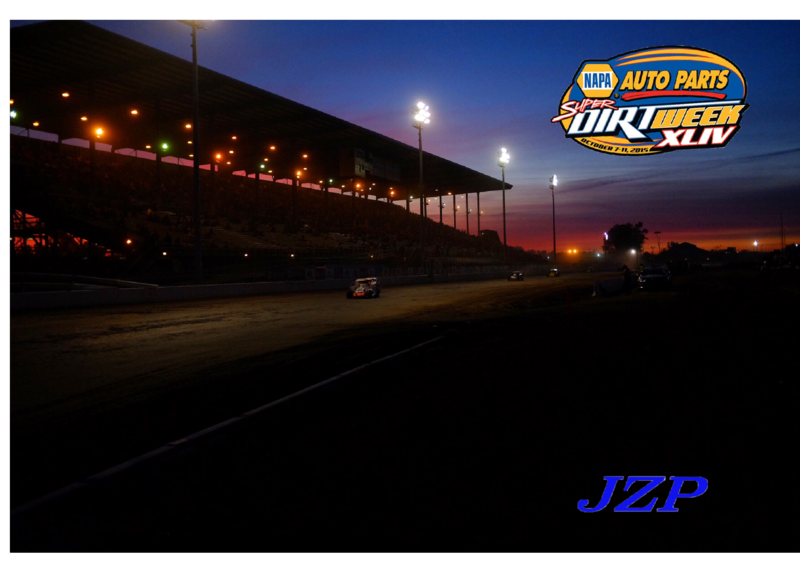 With 40 laps left in the days main event, the sun starred to go down behind the grandstands. This year there was no Mussco lighting to light up the track like in years past. 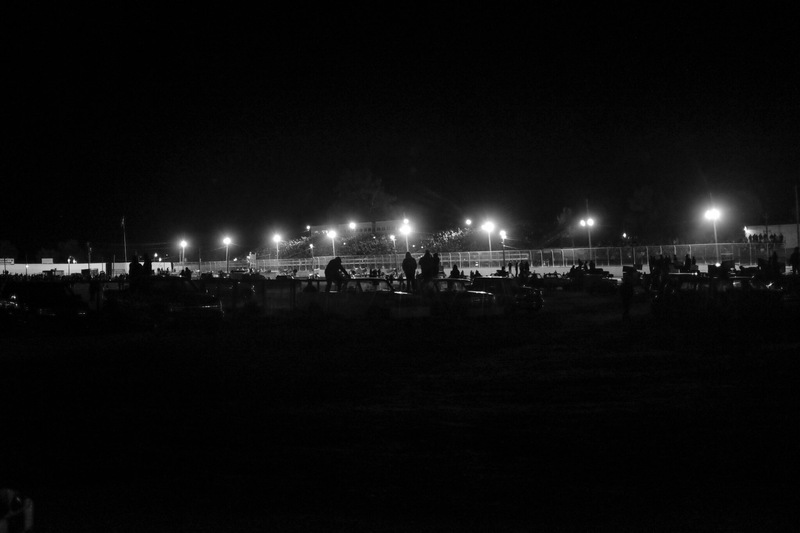 The drivers had to work their way around the “Moody Mile” with the old style lights at the fairgrounds. Not only was it getting dark but the top four cars were running pretty close. The caution flag flew a few times bunching the field back up. 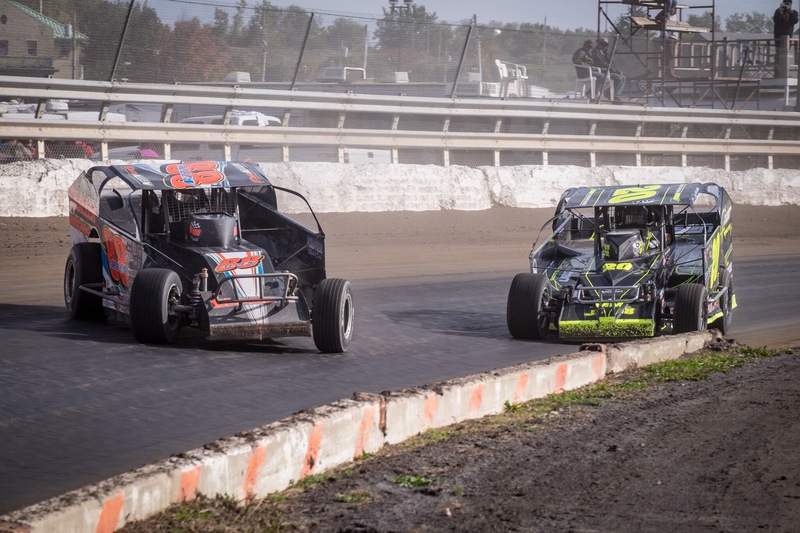 Jimmy Phleps was holding on to his small lead over McCreadie. The final caution fell will a couple to go after the #17 car slowed with a left front flat. This set up a shootout for the finish on the mile. On the last lap Phelps held his ground, but Dunn went to the slippery outside to make a bonzai move on “T Mac” to move into the second spot. Phelps had a big enough lead on Dunn to score the victory in the last ever 358 race on the Mile. Dunn, McCreadie, Hearn, Matc Johnson rounded out the top five. Saturday was a great day of racing on the mile. The place was packed all day. Up next is the 200 in Sunday.